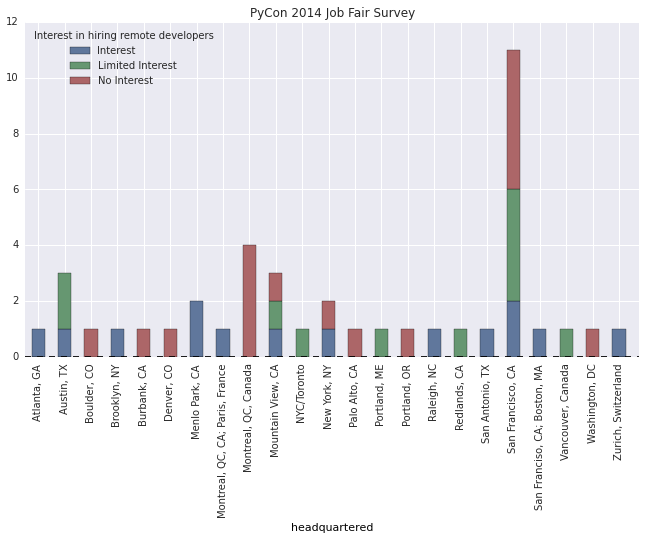 While not strictly data science focused, Brian Dailey took the time to interview all the companies at the PyCon 2015 job fair and ask about their interest in hiring remote workers. Here's the results of the survey. Here's the data in an IPython Notebook.